The Haines Board of Directors represent Haines’ shareholders, and they guide and counsel management in major company matters such as strategy, budget, acquisitions, and maintaining the Corporate Charter. 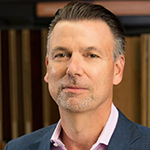 Mr. Dunn chairs the Board of Directors of the J.J. Haines & Company, Inc., the largest independent wholesale distributor of floor coverings in the U.S. In 2014, Mr. Baader joined Greenspring Associates, a venture capital firm with $3 billion in assets under management, as the Firm’s General Counsel. Mr. Brooks is the Chief Marketing Officer (CMO) and Senior Vice President of Ferguson Enterprises, a diverse distributor that spans multiple businesses including commercial and residential plumbing supplies, HVAC/R, waterworks, industrial supplies and a direct to consumer internet business. Mr. Griffith is the Executive Director of Episcopal Community Services of Philadelphia, a faith based social services agency focused on children, families, and older individuals with programs and services that bring about fundamental long term change and results. Mr. Strader is retired president and chief executive officer of Textron Systems Corporation, a Textron Inc. company, holding that position from January 2010 until Dec 31st, 2012. 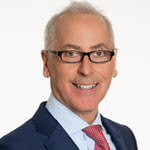 Mr. Morton, repeatedly ranked as one of the top M&A lawyers in the country, co-chairs Venable’s Corporate Practice Group, splitting his time between Venable’s Washington and Baltimore offices. Mr. Mancini is a third-generation family member passionate about innovation and excellence in customer experiences. Ray served as President of The Belknap White Group from 2002 to 2016, and is now the company’s CEO responsible for its strategic direction and long-term success. Mr. Mancini is a third-generation family member currently serving as the President and CEO of Mancini Beverage, a family owned and operated beverage distribution company in Southern New England.